A new year, the same me with a renewed focus. I’ve been mulling over what I wanted to write because there is so much clattering about in my brain. There is a great deal that I wish to express, or expel as it were, and all of it deserves equal air time. But often our stumbling block to success begins at the starting line and there we hover for an untold amount of time lost in contemplation. Contemplation leads to hesitation and so we wait for our inner voice to tell us that we are ready, when the truth is we ARE ready but fear has won the battle. This is a lesson that I’ve learned very well and so these days I tend to…JUMP and trust in self that my steps will be ordered. Motivation breeds momentum which propels us to progress. I don’t like the alternative, you see. The alternative is silence, white noise, and every writer’s nightmare – the dreaded blank page. This is not a time for silence. The world does not need our silence. The world needs our voices, raised in collective, unifying dissent. Dissent against the status quo and those who would languish in the comfort of their ignorance and privilege while others die beneath the weight of racism, patriarchy, poverty, White supremacy, homophobia, class war, misogyny, gun violence, militarization of our police force and the massive prison industrial complex. The status quo thrives off our silence and complacency. It is the unified voice, fueled by outrage, compassion and our internal moral compass that searches for truth and justice, which propels humanity forward. So, you can look forward to hearing more from me this year. I am interested in being part of the unfolding conversation on the difficulties that we face in this country. I am compelled by the young men and women of Ferguson who, cloaked only in their anger, outrage, sadness and courage, have fearlessly given rise to a national movement, #BlackLivesMatter. The conversation they’ve begun challenges much of what we accept, exposes the racism, corruption and machinations of government exploitation of citizens, the injustice of our judicial system and the lack of police accountability which has taken the lives of countless African Americans. Sadly, it is not a new conversation but it now has urgency and weft behind it, and it is forcing us to peel back the layers of institutional and structural inequality which is as American as apple pie. It is an uprising against injustice whose time has come. As I write, I look forward to feed back from each of you to have a much needed conversation on race and a myriad of topics. Some of it will be difficult to discuss, as difficult as it is for me to write about. We all have bias and operate from a place of privilege, cemented by our gender, socio-economic status, education and race – long before we even know that any of that matters. What we do about them, how we examine them, and attempt to connect with others in spite of them, as we move through our world – matters. The willingness to engage and shatter silence, on an individual level – matters. Conversations bring to light that which is hidden and encourage us to examine our beliefs. From our beliefs arise action and change will happen, one conversation and conscious decision at a time. Wishing you peace, courage, consciousness and joy. 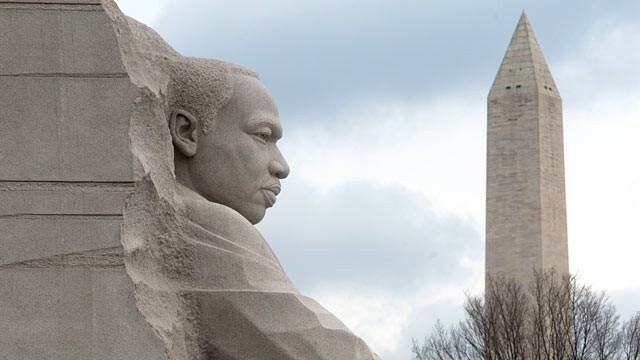 In honor of Dr. Martin Luther King Jr. , here is a link to a digital archive of letters and documents associated with Dr. King. This is a fascinating trove! The Archive | The Martin Luther King Jr. Center for Nonviolent Social Change. What Does It Mean To Be A Human Being? An excellent question. What does it mean to you and what do you stand for? I’ve been writing frantically all day and have no energy to write my intended post :(. In it’s place, I leave the next best thing, two must see videos that are sure to inspire you and make you think. 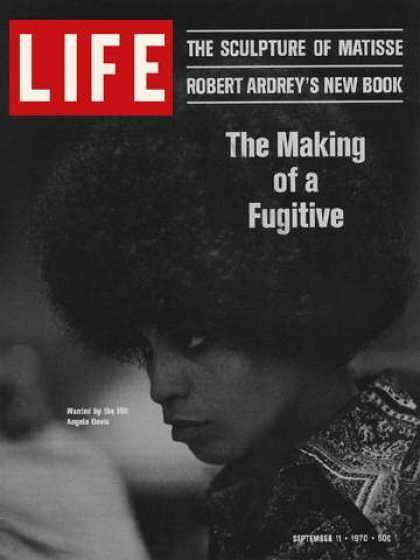 Kudos to Angela Davis and Danny Glover. I thought I loved Danny before but now… I have no words. I have always respected and loved Angela for her sacrifice and commitment. Watch for the link at the end of the video, which will appear at the top in white text, that takes you to the Q&A section. One of the most beautiful things that has come out of OWS is the spiritual, selfless and passionate articulation of humans, from all walks of life, across the spectrum, who have chosen to join the movement. It has gone along way towards renewing my faith in mankind. Today marks the day that I had the effrontery to stick my neck out lol. Undoubtedly, I will be labeled by some as crazy or, at the very least, as an ideologue. I do not care. Great aspirations are not attained without risk and this, such as it were, is a tiny rock whose ripples I hope will spread far. Below is my latest labour of love, a speech which has been submitted to Congresswoman Maxine Waters for the #Our Speech call to action. I hope that at least some of it is heard or better yet, acted upon. To add to the this weekend’s historic moments, Cornel West was arrested today getting his voice heard in Washington DC. How fitting is that? I do not profess to be a politician. The halls of congress and the White House are grounds that I never expect to walk upon, except as a tourist. Yet, within the halls of democracy lies the beating heart of the people who dared to conceive it and took the necessary steps to actualize it. Democracy is the form of government which we believe exemplifies our dream of a just and equal society. We believe so deeply in its aspirations and veracity that we uphold it as the ideal to which other nations should aspire. The people are both the wheel upon which the system turns and the very steam which powers the engine of democracy and capitalism. Social injustice, racial disparities, institutional racism and economic inequality are systemic issues which mirror the failings of humanity. None of which are acceptable and all of which must be fought against. The time has come to acknowledge that our ideology and aspirations are greatly out of step with reality. The current strife underscores this more than any speech ever could. Americans are sick of hearing Congress bicker about whom is to blame for our issues and what is the best way to solve them. I happen to be a Democrat but before any political affiliation, I am a human being and so I expect our politicians to put aside their differences and do the job we elected them to do. While Congress pontificates and filibusters, Americans are starving, losing their homes, working multiple jobs, if they can find them, and puzzling over ways to balance our incredibly, shrinking budgets against the rising costs of tolls, gas, food and corporate thievery in the guise of bank fees and loan rates. We wonder how we will pay our taxes and student loans, avoid answering our phones, leave our mail unopened, as we struggle against a rising tide of depression because the system, if it ever was for us, has failed at this critical juncture in history to safeguard us. That is unacceptable. Americans have lost HOPE. Hope, is the sacred right of every human being and what many politicians seem to have forgotten is that they are elected to be our hope and serve the arm of the people in a world rife with uncertainty. It is a sacred trust which has been broken as Americans are falling under the wheels of Corpocracy and greed due to officials failing to keep up their end of the bargain. I acknowledge, unlike many, that “the people” have helped to create the mess we are in by their apathy and silence. I applaud Congresswoman Waters for reaching out to Americans as change must be a joint effort, of the electorate and our government. We need to be reminded and we need to be held accountable. The global Occupy Wall Street movement illustrates beautifully the consciousness of the people which has been missing from the political landscape. Our silence has finally and irrevocably been broken. Those of us who have been awakened are now willing soldiers in the fight. Our strength, our passion and our vision can, and should be, harnessed to power change. How can America hold out its hand to other nations but not have the wherewithal to do the same for her people? Revise the tax code and raise the taxes for the rich and corporations and pass the American Job Act. Close the loopholes, legally or by constitutional ratification, which allowed corporations to skirt the system and create the mortgage crisis. Pass legislation to get the money out of congress. We need citizen funded elections to limit corporate influence. Enact a National Foreclosure Moratorium to stem the tide of homelessness and allow people to get their finances in order. Create an Oversight committee for mortgage fraud investigation and HAMP. The program is a farce because banks are not making modifications as agreed to and homeowners have NO resource to go to. Waive 401K tax withdrawal penalties for the unemployed and underemployed as discussed during the 2008 campaign. How can people get back on their feet if they are in debt to everyone incl. the IRS? Create additional incentives for banks to lend to small businesses and new entrepreneurs. Procure unused tracts of land to create a national program more urban community gardens or provide grants. Volunteer committees can plant and manage the grounds; sell proceeds (with a cap on profits) and be mandated to give a percentage of the yield to organizations which feed the homeless. Provide a liaison for the Occupy Wall Street movement to ensure that their objectives (TBD) can be communicated effectively without resorting to more violent measures which is a foreseeable outcome. Keep the channels of communication open between the electorate and government. Encourage volunteer committees of a select, and changing group of citizens, selected by lottery, who are responsible for communicating/brainstorming quality of life issues and provide feedback to their local governments. Determine what can be done to repeal the recently enacted Voter id laws which will have a direct impact on the 2012 election. I woke up this morning with a feeling of Joy. My initial intention was to lay there mulling over it, analyze it and hold it to me so like the air from a balloon, it would not escape. A loud voice within me cried out that this would be a mistake lol. “Go with it” seems a much better course of action. By the time I finished, it might have dissipated in the wake of some of the things I am happy about. After all, there is almost always a fly in the soup. I read once that your emotional state is a choice, one that we don’t often take advantage of, in our backbreaking rush to succumb to whatever ails us – at the moment. That is, of course, an unreasoned response which mirrors our primordial nature. Life is made up of moments that so often we are just trying to get through. To stop and contemplate an ephemeral rainbow, a passing cloud or the colors of the sunrise, is to align yourself temporarily with a thing greater than you, unknowable and haunting in their beauty and timelessness. Use beauty to arm yourself – Carpe Diem. I like excercising choice so much better. Being right here with you makes me happy. Being in a state of happiness opens you up to greater happiness and I like that just fine. I know, of course, why I am smiling and almost none of these things have anything to do with me but why not share them as they might make you happy too. Yesterday, was a historic day. October 15, 2011 will live in my memory as a day that was witness to a collective consciousness that joined people together in purpose, love and solidarity – worldwide. A Change Is Gonna Come, expect it. It has already begun. It needs to be harnessed and clearer demands articulated but such an outpouring of unity makes me feel hopeful and empowered. To add to my glee, today is a historic day, Dr. Martin Luther King’s monument is being unveiled and dedicated in Washington D.C. Check OUT President Obama’s speech. We must carry on the work of the dreamers who fearlessly gave their lives to make this world a better place. The world is worth fighting for. I like riding the winds of change so much better. Here is a very cool post by one of my Blog Sisters, Angelika Beener. It’s very fitting that I am sitting here surrounded by auditory splendor :). Just two things but they are pretty BIG things. I often think about how transitory happiness is. It can’t be bottled, or ingested by a pill. We search fruitlessly for people that will make us happy and read self-help books that will tell us how to get to that place. In a word, futility. It seems clear to me that we aren’t meant to be happy all the time but I’m good with that. If it were a constant feeling it would not be so uplifting and revelatory. It is the nature of life, our days are balanced (or not), by moments of dark despair, sadness, mundane activities, ongoing responsibilities, enervating fear, insecurities, aspirations and flashes of joy unbidden, which like rainbows reveals to us the state of perfection that can be achieved. Sometimes all you need to do is be open to receive it. Keep seeking, the answer, the articulation, lies within. What is a nactivist? A new activist, duh. Ok, so it’s not incredibly snazzy but in a world rich with made up words, I felt it was my God given right to give it a try. I will stick with stories in the future lol. All my life I have regretted not being alive during some past era so that I could get behind some humane cause and do my part in changing the world. I missed the Women’s Movement, African Americans Civil Rights Movement or Ooh la la la The Sexual Revolution. A tragedy of ginourmous proportions. I would have been a bra burner for sure! Of course, the flip side to that would be experiencing the injustice, racism, sexism, misogyny and puritanical boundaries of misguided American society that strangled it’s citizenry. Right. Still, I would give my left arm, rhetorically speaking, to have been witness to the brilliance of Dr. King, Malcolm X or Angela Davis. We have no great leaders today and it breaks my heart. I am drawn like a flame to the passion, commitment and dedication of activism and yet I am a member of a generation, as has been stated ad nauseum, that is incredibly self-indulgent and stands for NOTHING. I take the blame that I have done nothing but chatter about social injustice up to this point. It wasn’t because I didn’t have passionate beliefs, or was blind to injustice, but because there has always been something more pressing to do, like living my life. That’s a big thing all by itself and it is frequently out of hand lol. But I would lie if I didn’t say that I always felt a nagging guilt that while I was verbally committed a corresponding action never arose. This weekend was cataclysmic for me, as well as many others. I can say quite unequivocally that I am sick and tired of being sick and tired! I have the time and I am deeply committed, for once, to something outside of myself and it feels fine. I was not looking for a cause to champion but the death of Troy Davis and The Occupy Wall Street Movement have captured my attention and seem worthy causes to stand behind. Ironically, I am, in a sense, a victim of my own words. After my last post, I thought about just how disturbed I am that people are sitting around doing nothing while the world falls apart around them. I do not like the idea of being included in that club. I thought about how disgusted I am that privilege, wealth and class are robbing people of their constitutional rights, civil liberties and is the cause of spiritual death and actual loss of life, in some cases. I thought about me and how blessed I feel (yes, I am a living contradiction lol) to be alive NOW. For all the difficulties that we labor under, what are the odds that I would have been the person that I am had I been born 60 years ago? It never leaves my mind and I know the answer is – not f*cking likely. Which led me to humbly thank once again all who had gone before and a wonderful thing happened – commitment crystallized. In keeping with this I am now a member of Amnesty International & the NAACP. I have donated to Occupy Wall Street and will be in the next march and the next. Send bail money if I get arrested! I have been working on spreading the word to my friends in the hopes that they too will be nactivists and I have volunteered, egads, to help with articles for Occupy The Nation whose purpose is to bring attention to the national movement which is growing at a phenomenally fast rate. Very cool. Here are some links to articles and videos underscoring the need for change. 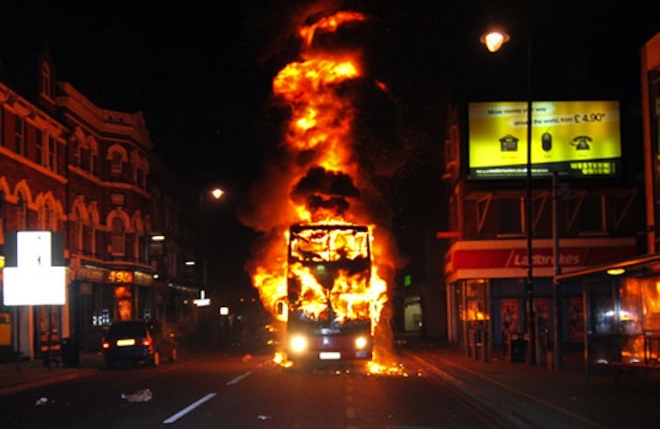 It was only last night that I finally heard about the Riots in London. It was the weekend so I was off doing my own thing. I was completely caught off guard because we watch Channel 4 News and the Today show religiously and yet there was NO mention of the London Riots. That speaks volumes about the role of mass media and just what is considered newsworthy. If asked, I am sure the ubiquitous they would say that the declining stock market and ongoing debt debate pushed this out of the limelight but I think that’s a bunch of BS. People matter more. Under it all, I think the powers that be consider the uprising of the disenfranchised right across the pond to be incredibly alarming and would like nothing better than to downplay it for fear of inciting a similar response here at home. Considering the ongoing foolishness coming out of DC they are right to be afraid. It was only when I got on Twitter that I actually saw the multitude of comments and immediately began following commentary by UK residents and went to YouTube and @RT_com (Russia Today News Source) which was tweeting continuous live updates. What I saw was horrifying and sobering. The video coverage shows how bad it has gotten in a very short period of time in a way words could never convey. For the intelligent few, the reason to riot encompasses Mark Duggan and many other social injustices. And in spite of my horror, I am a firm believer in the right and effectiveness of public dissent. It really is a no brainer to see that once the wealthy and powerful are in control their consideration for the less fortunate is negligible. Who willingly gives up power? Right. I believe in MLK and Malcolm X’s philosophy and have great admiration for both of them. If peace will not work then “By any means necessary” becomes your only choice. It is very easy for people of non-color to point the finger at minorities and say they should only use legal channels to invoke change. It’s easy because they are not the ones who live a life marred by the effects of racism, institutional and societal. They don’t live under a constant cloud of suspicion. They probably also don’t notice that while rates on unemployment continue to climb the highest rate is among minorities directly affecting their quality of life. Nor, do they have to live with the fear that their brothers, fathers or other male family members will at some point be arrested and possibly terrorized and beaten by the people we pay taxes to protect us. I live with that feeling everyday and am a law abiding citizen for whatever weight that carries which is none. All the people who sit quietly by while social injustices continue unchallenged are, in my opinion, just as guilty as the abusers. What reason do they have to stir themselves to participate in what is at its base a public outcry? They have a moral obligation. This is not the first time we have heard of a black, unarmed man being shot while under suspicion. Need I mention Amadou Diallo? It’s such a common occurrence, this pattern of abuse and harassment, that most minorities harbor a deep fear and hatred of police officers. We are convinced by their actions, not anomalous but commonplace, that they devalue us as human beings and the natural response to that is RAGE. Apparently, the rioters are mostly young people and that is also understandable. Young people do not have the advantage of maturity in order to channel their anger productively. In a society which glorifies violence in movies and video games and the like, coupled with the recent example of Egypt would you really expect them to take any other course of action? What they really need is a leader to unify and direct their efforts not rabblerousers and mindless criminals polluting the message that needs to be sent. Of course, the opportunistic have landed and criminality is raging out of control. Sadly, it is par for the course. Mark Duggan is lost among the din and that is truly horrible but the underlying causes should be considered. I am praying for a cessation to the violence and I am hoping, perhaps naively, that something good will come out of so much pain and horror but I know the likelihood is slim. All in all, my heart is heavy today and I am saddened that things have come to such a sorry pass. Will it ever change? I have been thinking about societal changes and how we deal with them. Within the last twenty years there have been major technological changes in our everyday world and they seemed to have happened so quickly that many of us are still struggling to cope with them. Who is having the most difficulty coping with these changes? Hmmm. It seems the resistance begins on average with those of us over 40. We act as if these types of changes are unique and specific to our generation but they are not. Change is always a given. The only question is what type of changes will time bring? I can still remember quite clearly my Mom using eight tracks in her gas guzzling 70’s Navy Blue Brougham Caddy, her afro puffs, silver platform shoes and Dashiki shirts. The same way she laughingly teases me about bleaching perfectly good pairs of jeans in the tub, hacking at my hair to make it more asymmetrical, all my cut up FlashDance shirts and Madonna-esque earrings. I still remember the looks of pure shock on the faces of passerby when I walked down the street with my Italian boyfriend. Well, never mind them, I only have to think of his Grandmother. It just was not so commonplace in 1984. My friends and I occasionally snicker at how we zoomed from records to cassettes to CD’s, hefty boomboxes to Walkmans, then Discmans and finally the infinitesimal but mighty IPOD. We went with the flow and we laughed at those who came before and yes, there was an element of pity in the laughter. I still curse under my breath as I remember analog phones and how my mom had a LOCK on the round dial pad to keep us off it when we were kids. Now, a mere 20 years later, it is de rigueur for kids to have their own tiny cell phone that they take everywhere so I suppose we got the last laugh. Now parents have to fight their kids for access to their devices and monitor their minutes or read their call logs. Ah, but now they have GPS so you can track them. Ha! Recollecting the bitterness of our arguments so clearly and the caustic things the adults said about my generation, like how much we take everything for granted, I completely understand the baffled look of my nieces and nephews when we discuss days gone by. After all, their’s is the new and improved digital era. Talking to them about the time before Play Stations, Itunes and You Tube is like my Great grandparents talking to me about the days of Segregation, Iceboxes, Outhouses, Black and white TV’s, or egads, plain old Radio. Huh? My god, how did they live? How slow life must’ve been back then! How, well, completely unrelatable. It’s interesting and informative but how real can it be when it is intangible? I had no idea just how cyclical this conversation is or just how much each generation has to fight for their way of being. They shouldn’t have to fight because this is THEIR time and by it’s very nature represents the latest advances in technology, scientific and social thought. Certainly, if some essential stuff has been cut away to reach this place, that’s just not their problem. Their’s is to define the way forward. Yet, the previous generation always fights, at least psychologically, against the tide of change. Newer is not necessarily better and they can give you a long list of reasons why. Why do we waste our breath? In truth, it doesn’t matter who is right. Each generation fulfills it’s function and in the changing of the guard, ideals will always change. Yes, some changes will be for the better and some for the worse but that is uncontrollable. In the final analysis, we must get with the program or get the hell out of the way. Age, may act as the voice of caution as we benefit from experience but we must be careful not to become so entrenched in our ideals that we believe our way is the BEST, or only way. There is, and God willing will always be a BETTER way. That is evolution. However, I still hate the idea of people becoming slaves to technology. I guess I was overtly influenced by HG Wells ;). The video attached illustrates this argument beautifully.